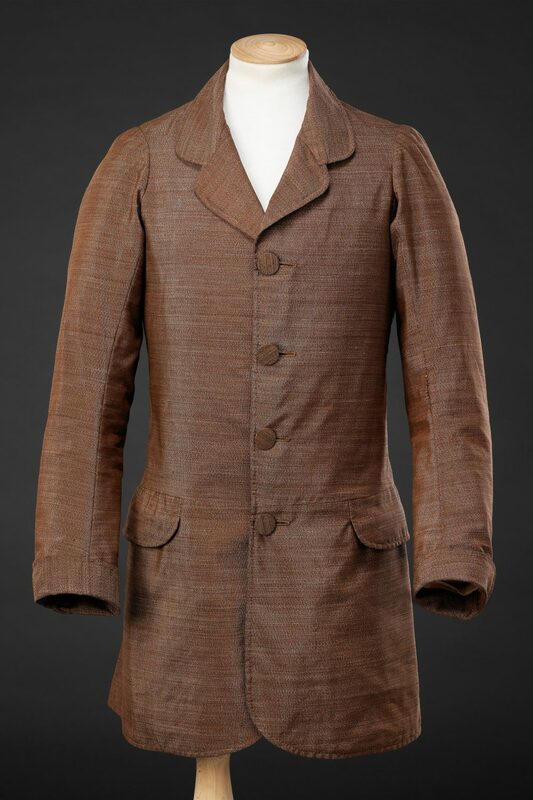 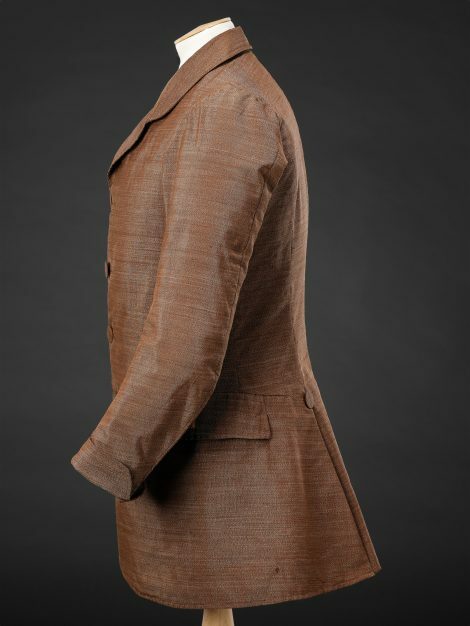 This light weight jacket of around 1850 is made of alpaca, the fleece of Andean alpaca goats, imported from Peru to be spun and woven in the wool processing town of Bradford in Yorkshire. 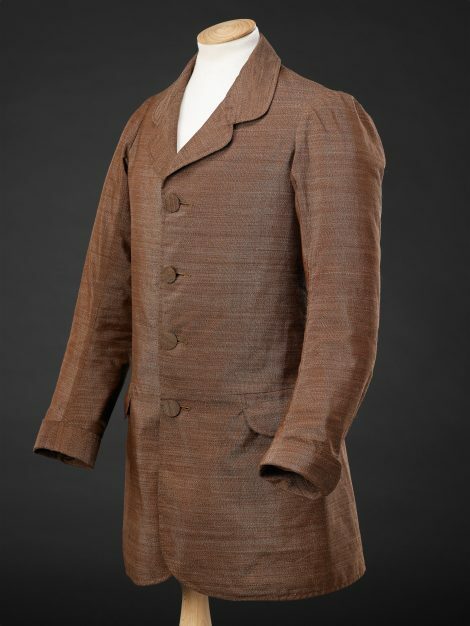 Alpaca cloth reached its zenith of popularity for use as men’s, women’s and children’s clothing in the middle decades of the 19th century; it was attractively lustrous in appearance but also practical and durable, light in weight, economical, and compatible with other fibres. It was often used in its natural colour, as appears to be the case with this jacket; the warp threads are brown with lighter coloured wefts. 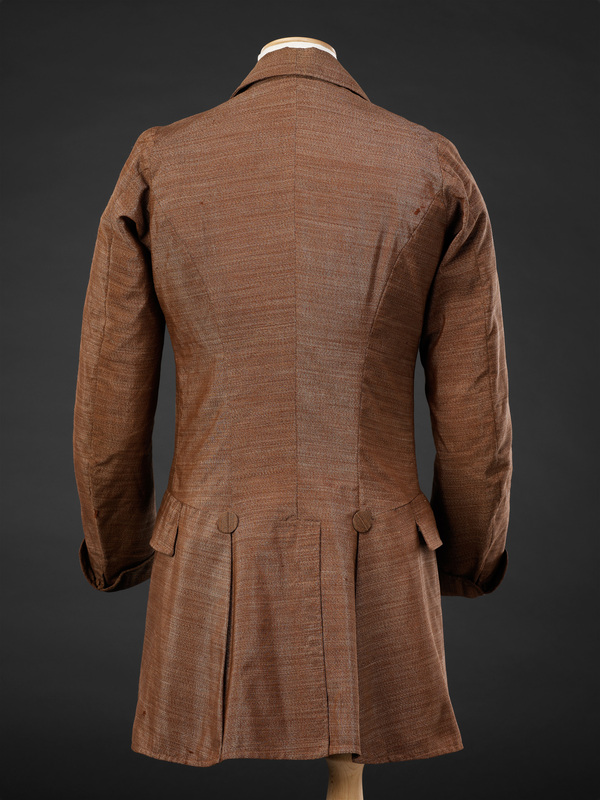 The jacket is long and fitted in the body with a low waist seam, and a soft, narrow, unemphasised shoulderline. The sides and back of the upper body are lined in dark brown glazed cotton, and the sleeves in pale flesh pink cotton twill; the remainder of the garment is lined in matching and darker alpaca.